You can connect your Authorize.net account to our Pay-Per-View system as a Payment Gateway and start using it as your payment processor to accept your client's Credit Card and Debit Card payments. If you want to check out some Pay-Per-View Demos and extra information please visit our Pay-Per-View information page. To enable your Authorize.net as Pay-Per-View Gateway you will need to go to the ⚙️ Settings tab. Here under Setup you will find the Pay-Per-View 🔽 menu. Click on it to expand the sub-sections and select the Payment Gateways tab which will display the available Payment Gateways in the centre column. Click on the Authorize.net Gateway in the center column. This will open the Authorize.net Setup Panel on the right. Here you can change the default name from Authorize.net to something else if desired. API Login ID: Here you will need to enter your Authorize.net API Login ID. See detailed setup information below. 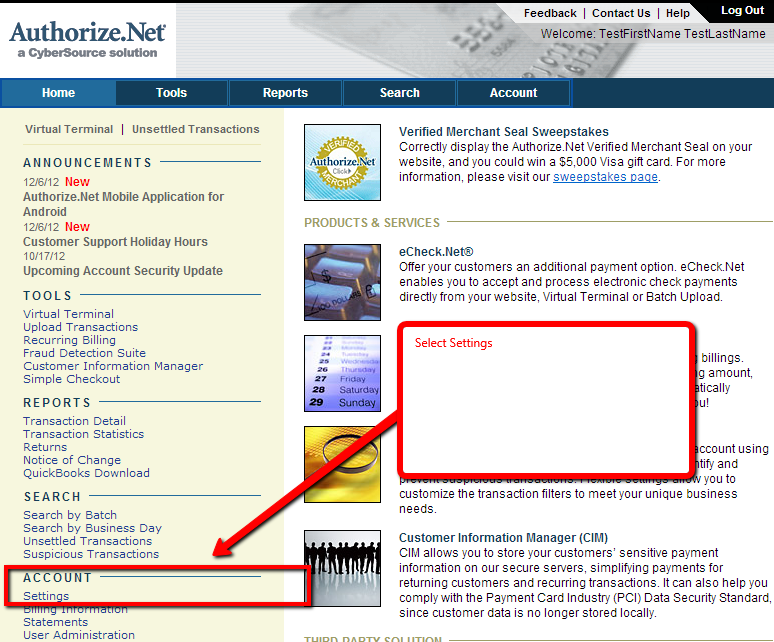 Transaction Key: Here you will need to enter your Authorize.net Transaction Key. See detailed setup information below. Image: Here you can change the Default PayPal Image that is displayed to your viewers by uploading your own one. 🔘 Enable Payment Gateway: Clicking on the slider and placing it to the On position enables the Payment Gateway to be used for your Pay-Per-View videos. 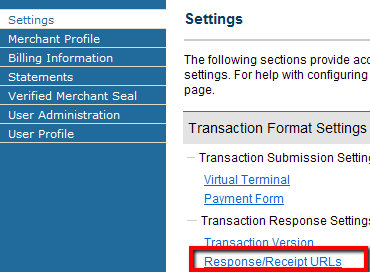 🔘 Show Payment Instruction Page: Clicking on the slider will enable a page with instructional steps to be displayed after the viewer clicks on the Buy button. With the Instructions page enabled you are able to modify the text text displayed on that page to your liking. Now we simply click on the green ✔ Save button to save your Authorize.net Payment Gateway. To generate your API Login ID and Transaction Key, Login to your Authorize.net account and go to Account > Settings. 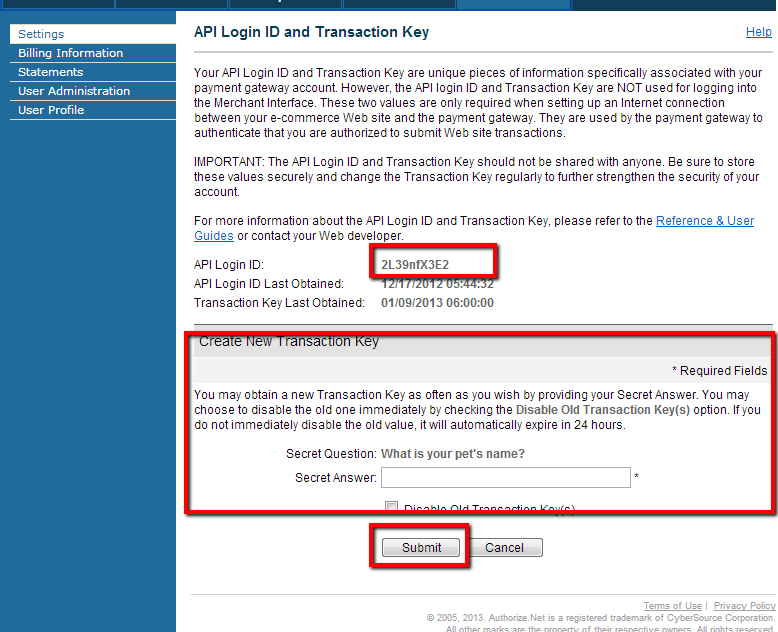 Follow the onscreen instructions to generate the API Login ID and Transaction Key. 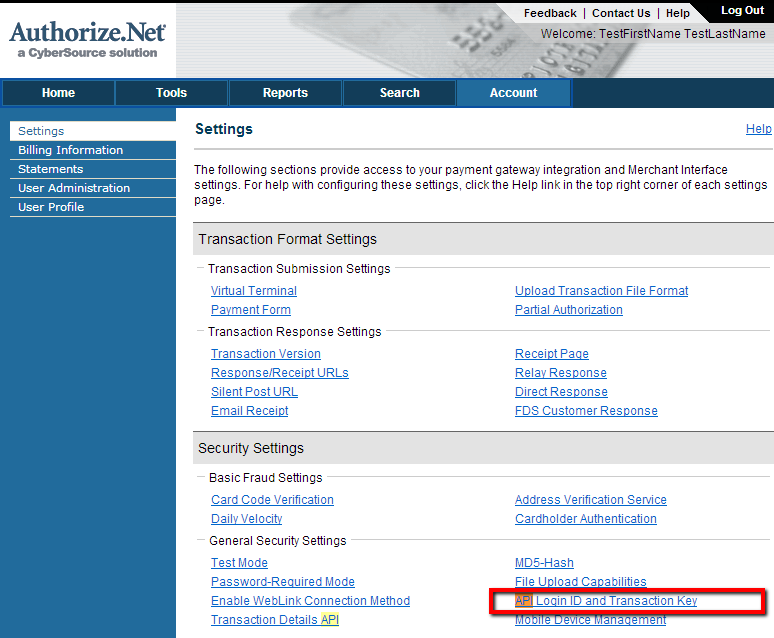 Copy your API Login ID as well as the Transaction Key from the Authorize.net panel and paste it into the API Login ID and Transaction Key entry boxes within the Authorize.net Payment Gateway setup. You will need to Setup your Authorize.net Response/Recipient URL in your Authorize.net account. This controls that when a client makes a payment the confirmation is sent back to our system to be able to give access to the viewer to their purchased video or playlist.